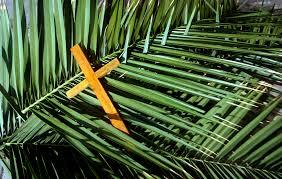 This Sunday we enter the sacred time of Holy Week, beginning with Palm/Passion Sunday, set to Gabriel Faure’s Requiem, and a children’s drama of the Palm Procession! The story challenges us to choose what to hold onto and what to let go. Buddhists talk of emptiness, Taoists talk of emptiness, and Christian spiritual masters talk of emptiness. They mean the letting go of the selfish self, letting go of attachment to things. The Apostle Paul said, “Let the same mind be in you that was in Christ Jesus, who…emptied himself….to the point of death—even death on a cross.” The Passion story is all about the transforming, self-emptying that Christ calls us to undergo when he says, “ Take up your cross and follow me.” It is not the noun, but the verb, that we need. Not emptiness, but emptying that is our goal; letting go of one thing so another can take hold of us. We empty of selfishness and fill with Spirit, we empty of fear and fill with love, we empty of desire and find we have everything we need, we let go of our old narrow way of life and fill with the life that really is life.